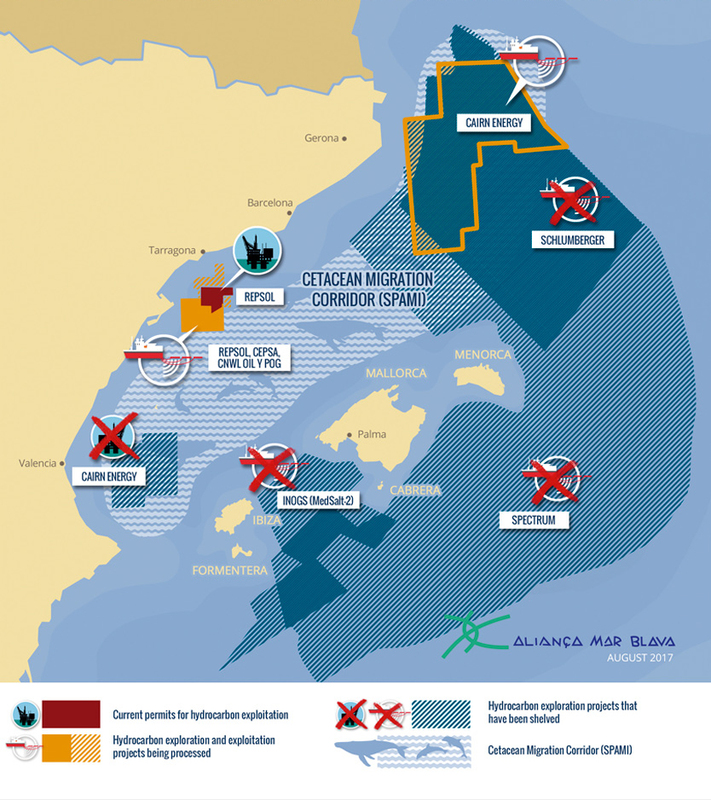 Four oil and gas projects planned around the Balearic Islands have been stopped as a result of Mar Blava’s work. Another success has been Mar Blava’s proposed protected whale and dolphin corridor on the Levantine-Balearic coast. The 45,000 km2 area was declared under the Barcelona Convention as a Specially Protected Area of Mediterranean Importance (ZEPIM). As a result, Spain’s Ministry of Energy must archive all oil and gas prospecting projects and requests in this area. In 2013, we called for the creation of an alliance to reject oil exploration in the Baleares and provided €26,000 in seed funding for a secretariat. Since then, Alianza Mar Blava has grown from 30 member organisations to more than 100 today and raised over €378,000 in funds. United for the first time, its members include representatives from public administrations, the private sector and civil society. Information, maps and technical documents are available on Mar Blava’s website and social networks.